India Watson was born 12 weeks early, weighing in at only 1 pound, 7 ounces. She spent the first two months of her life in a neonatal intensive care unit, where she was diagnosed with cerebral palsy. She wouldn’t take her first steps until 5 years old. At age 6, she walked with a limp and suffered from debilitating muscle spasms, which caused her to get Botox injections in her hips and legs at 7. When the injections no longer relieved the pain, she had surgery on her hips at 9, then spent three years in more pain as her hip bones grew over the metal plates that were supposed to assist her with her disability. At 14, she demanded the plates be taken out and wore leg braces to middle school, where she remembers being bullied by other students and feeling uncomfortable when her teachers had to stop their lessons to help her with everyday tasks, such as using the restroom or helping her up when she’d fall. 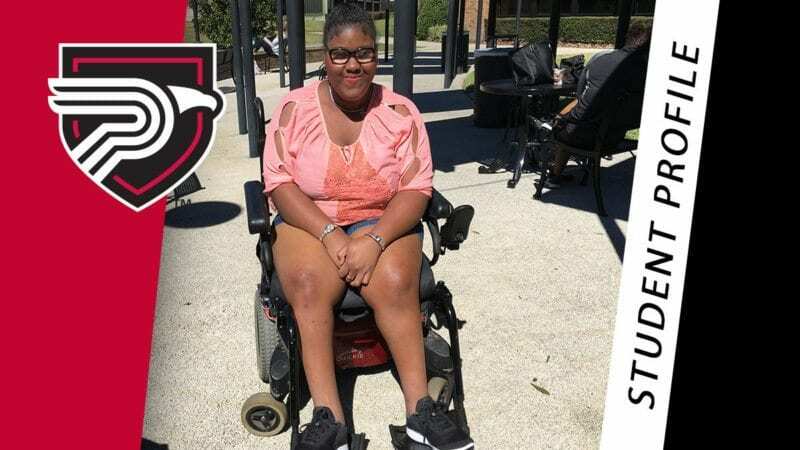 Today, she’s bound to a wheelchair, but that doesn’t stop her from getting to classes at Polk State College, as she begins her journey to becoming a filmmaker. “I’m not going to let my disability stop me from being myself and being the best I can be,” said India Watson, a Polk State student working on an Associate in Arts degree who has cerebral palsy. Because of financial and transportation issues caused by her cerebral palsy, Polk State’s affordability and accessibility are important to her. Watson and her mom live in Lakeland. They live mostly on disability benefits, Watson explained, and transportation is difficult because their vehicle cannot accommodate her wheelchair. Watson takes the bus to and from school, which can become pricey for the Watsons, who live on a tight budget due to medical and other expenses. 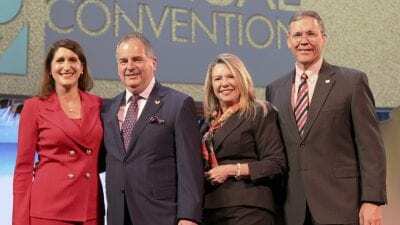 Prior to her interview with Polk State News, Watson was unaware that Polk State students receive free bus rides through Citrus Connection with their Polk State student IDs. Despite the challenges, Watson does her best not to miss class, even if she is unable to use her electric wheelchair, such as when it’s raining, and needs to maneuver around campus in her manual one. “It can be exhausting, but students here are always very helpful if I need someone to push me to my next class,” she explained. Because of her cerebral palsy, her muscles are easily tired. Polk State’s Office of Disability and Counseling Services also assists, but Director Kimberly Pearsall said Watson has grown more independent and confident, and has relied less on her office. The Office of Disability and Counseling Services offers accommodations and modifications for disabled students, including note taking, interpreting, priority seating, extended test time, and assistance with registration and other student services. Polk State is serving 245 disabled students for the fall 2017 semester. The majority of those students are learning disabled or experiencing mental health issues. In addition to the disability and pain caused by her cerebral palsy, Watson also deals with anxiety. But she is a typical 20-year-old in many ways. She enjoys writing fan fiction, poems, and short stories; listening to Halsey, Demi Lovato, and Paramore; reading Stephen King novels and the Twilight series; and watching indie flicks and Kevin Hart movies. She wants to visit destinations she’s studied in her Introduction to Film class, including Greece and Italy, and one day attend the Sundance Film Festival. 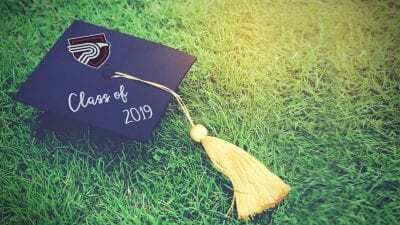 She plans to transfer to Bethune-Cookman University, Full Sail University, or New York Film Academy to study film, creative writing, and digital media after achieving her Associate in Arts from Polk State. Inspired by the 2013 HBO documentary “Miss You Can Do It,” which features a beauty pageant for girls with special needs, Watson aspires to create documentaries focused on disabilities. Some of Watson’s favorite classes have been Introduction to Film and Introduction to Sociology.